← Could Guetta Be The First Man To Play A Gig In Space? It’s slowly become one of the most popular clubs in the UK thanks to its Ibiza style terrace and location on the capital’s river. 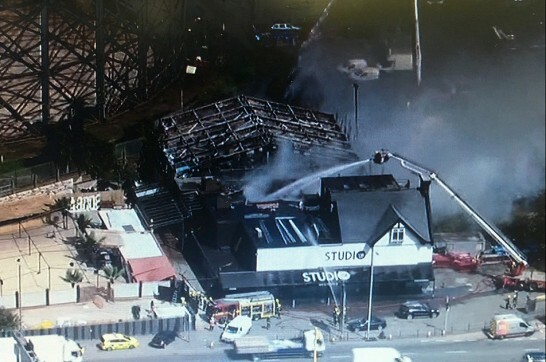 However, early in the morning of Monday August 8th, London’s Studio 338 nightclub burnt to the ground in dramatic fashion. Just 9 hours prior to the dramatic fire, one of dance music’s most upcoming and popular events “Abode”, were holding their regular Sunday residency at the club with over 2,300 revellers through the doors. More than 100 fire fighters were drafted to the venue in Greenwich, South London, confirming that one man had been rescued from the blaze. Unfortunately, another man was not so lucky and tragically lost his life. Frequent club goers have been recently treated to a new refurb at the club which includes an outside beach area. The club has played host to some of the biggest events and labels in dance music, including Elrow, Cocoon and Viva Warriors. Studio 338’s website states that they are, or were a “Music and arts venue based on the Greenwich Peninsula that includes one of the largest terrace arenas in Europe. It’s open all year round, heated and covered in winter against the elements”. Let’s hope the iconic venue can re-open and bring back some of the good times to South London. Katy Perry Naked = Democratic Fever!